Your affordable vacation is just in time to attend the 18th Annual Mother Road Festival in Springfield, Illinois. See automobile and motorcycle enthusiasts gather with hot cars, cool trucks, and vintage bikes with a salute to Route 66 and the tradition of the open road. 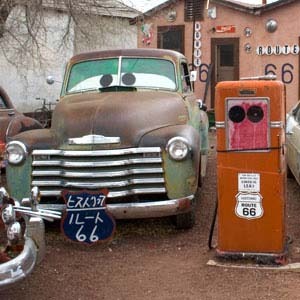 The annual festival celebrates Route 66 (aka the Mother Road) which was called the "Main Street of America" and "Will Rogers Highway" for more than 50 years before the advent of the US Interstate system. Enjoy classic cars, live entertainment, contests and prizes, and other scheduled activities for the Route 66 and automotive enthusiast.